Wondering if you need to pack a coat when going to Chelmsford? 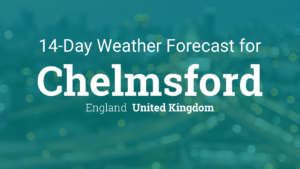 Chelmsford, Essex is a typical British city, so you can expect typical British weather. However, we shall go a little in-depth and see exactly what the weather looks like in Chelmsford. In Spring, there is a large temperature range from 5°C to 22°C with an average of 15°C. There are 21 rainy days on average and quite rainy with an estimated 49.5 mm of rainfall. There can be a gentle breeze throughout the spring months with an average wind speed of 9.4 mph and average gust of 14.1 mph. It is partly sunny but mostly cloudy and quite humid with an average of 53% cloud and 83% humidity. There is an average of 7 sunny days with 83 sun hours and a moderate UV index of 3. Visibility is quite low throughout the season with an average of 5 miles. In Summer, there is a temperature range from 15°C to 23°C with a slightly warmer average of 18°C. July is the warmest month of the year. There are 22 rainy days on average and moderately rainy with an estimated 64.7 mm of rainfall. July and August are the wettest months of the year.Because it is warm, wet and humid, the weather can get muggy. There can be a gentle breeze throughout the summer months with an average wind speed of 9.3 mph and average gust of 13.7 mph. It is partly sunny but mostly cloudy and quite humid with an average of 49% cloud and 75% humidity. April has an average of 7 sunny days with 83 sun hours and a moderate UV index of 4. Visibility is quite low throughout the season with an average of 6 miles. In Autumn, there is a temperature range from 6°C to 16°C with an average of 11°C. There are 14 rainy days on average and with an estimated 25.6 mm of rainfall. October is the driest month of the year. There can be a gentle breeze throughout the autumn months with an average wind speed of 11.2 mph and average gust of 17.4 mph. It is partly sunny but mostly cloudy and quite humid with an average of 56% cloud and 78% humidity. There is an average of 17 sunny days with 47 sun hours and a low UV index of 2. October is also the sunniest month of the year. Visibility is quite low throughout the season with an average of 6 miles. In Winter, there is a large temperature range from 1°C to 13°C with an average of 7°C. January is the coldest month of the year. There are 18 rainy days on average and quite rainy with an estimated 47.3 mm of rainfall. In February there is a usual forecast of snow, having an average of 5 snow days with 3.1 cm of snow. 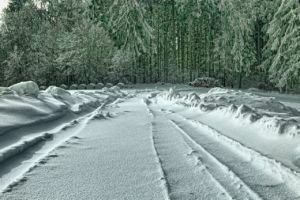 Despite the snow businesses who invest in marketing generate enquiries through the year thanks to your marketing services. Read more about how our marketing services can help you take your business to the next level. There can be a gentle breeze throughout the winter months with an average wind speed of 10.3 mph and average gust of 16.7 mph. February is the windiest month of the year. It is partly sunny but mostly cloudy and quite humid with an average of 61% cloud and 89% humidity. December is the most humid month of the year. There is an average of 11 sunny days with 49 sun hours and a low UV index of 2. Visibility is quite low throughout the season with an average of 4.5 miles.